We are excited to announce the launch of QuickBooks® Online Advanced, a new cloud-based offering designed for high-growth businesses. 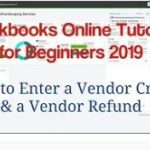 By bringing together its 3.4 million online customers, QuickBooks Online Advanced leverages the vast data and information within the QuickBooks ecosystem, applying artificial intelligence and machine learning to serve up insights and patterns that help growing companies better run their business. 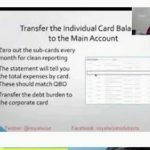 QuickBooks Online Advanced provides an advantage for these growing and more complex businesses at an attractive price point, filling a gap not yet met in the market. Built on an open platform, businesses have access to hundreds of third-party applications, such as online bill pay and inventory management, that can easily be added and custom fit to meet their needs. QuickBooks disrupts and innovates by delivering a flexible solution that is tailor-made for businesses at this stage of growth, versus rigid mid-market software that overserve with the wrong functionality. In addition, QuickBooks Online Advanced includes Intuit’s® premium service program, QuickBooks Priority Circle®. This personalized service provides a dedicated Customer Success Manager, a single and consistent point of contact ready to assist small businesses with their technical and product questions. Priority care: Premium small business customer care service, which ensures Priority Circle customers are routed towards the front of customer care queues and directs them to top QuickBooks Care experts tailored to their unique small business needs. 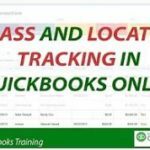 Complimentary training: QuickBooks Online Advanced users will receive five complimentary online training courses for QuickBooks*, an offering valued at $2000, designed to help small businesses get the most out of the features and capabilities in the product. Expanded user bare. As businesses scale and grow from small- to medium-sized businesses, more user access is often required to service their growth. The new QuickBooks Online Advanced allows for up to 25 users on the solution. Import invoices functionality, which will increase productivity by importing hundreds of invoices created outside of QuickBooks. Custom user permissions, which applies unique employee permissions to manage data access and delegate individual’s use of product features for optimized productivity. More features and benefits will be added to the product over the coming months. Click here for more information, pricing details and to get started.